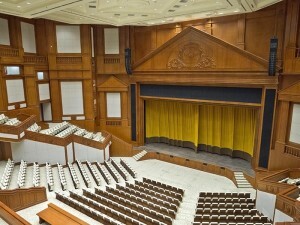 The Prime Minister’s Office in Brunei, a brand new six-storey state of the art complex, was inaugurated in mid-April, just prior to the 22nd ASEAN Summit on 24-25th April 2013, during which the LSI Projects team were proud to demonstrate the advanced technical systems they had installed to the prestigious venue’s Royal visitors during the final inspection. 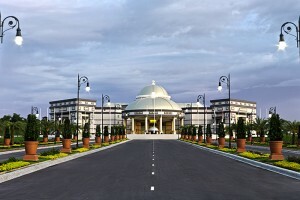 Since Independence from Britain in 1984, the Prime Minister’s Office in Brunei has been the central coordinating body for all Government Ministries and agencies. The Office is led by His Majesty Paduka Seri Baginda Sultan Hassanal Bolkiah Muizzaddin Waddaulah, Sultan and Yang Di-Pertuan Negara Brunei Darussalam, as the Prime Minister, and in 2010 the project began to create a new building in the capital Bandar Seri Begawan. LSI Projects began work on the project in December 2011, under the instruction of CCW Consultants, the leading independent technology consultancy in Asia, who were appointed by the client to lead the project. The new building comprises a large auditorium and banqueting hall, a conference hall and 13 conference and meeting rooms that would be used for the first time during ASEAN Summit. LSI Projects were invited to review the technical infrastructure originally specified and worked with CCW Consultants to finesse the initial plans for the integrated sound, communications, video, production lighting, stage engineering and audio-visual control systems. Being internationally respected for their specialist knowledge in all areas of the latest performance and broadcast technology, LSI Projects were able to take advantage of the most recent developments to value engineer the project for the benefit of the client. With hundreds of international and local media representatives expected over the two days, the new audio and video facilities had to be of the highest standards. The inspection by the monarch was carried out to ensure that media personnel would have comfortable and fully-equipped working areas from which they could broadcast the latest news of the Summit meetings. The Summit put all the technical facilities through its paces, as LSI’s project director, Bob Peill, explained: "LSI’s project team worked extremely hard to get all the technical systems 100% right, and completed on time, because we knew the high profile ASEAN summit would test the facilities to the limit. Our experience as a major international installer of broadcast and conference facilities was a crucial factor in assuring a smooth running event." As with many building projects of this scale, new product developments often overtake the building phase. For this project, LSI was able to recommend the very latest audio systems from Harman, and quality systems from Digital Projection not only to improve the original design, and maintain quality but also to save a significant amount of the budget. "This released funds to add more equipment and to expand other AV systems," added LSI’s project manager Jakub Krzeminski. Confirmation and appreciation of LSI’s support during the ASEAN conference has resulted in LSI being invited to also attend the 23rd ASEAN Summit, in support of the venue’s technical staff, on October 9-10 this year.